XP20™ is a step up from the highly successful XP16™ compound. With an extremely aggressive initial bite, the most linear torque curve to date and excellent fade resistance the XP20™ leads the highly successful XP™ series line of compounds from Carbotech™. The XP20™ as with other Carbotech™ compounds is very rotor friendly. Carbotech™ XP20™ is NOT recommended for use as a daily driven street pad due to possible elevated levels of dust and noise. 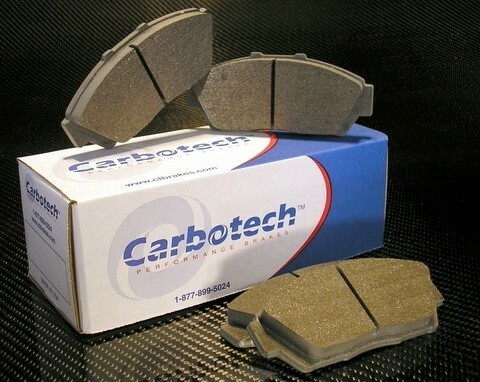 This brake pad is recommended for full race or serious time attack situations where brake temperatures are at its peak.